NORD DRIVESYSTEMS is a global leader in drive technology and offers you reliable, safe and customised drive systems for the transport of bulk material. Bulk materials are intermediately stored in storage compound systems or silos/bunkers before they are conveyed to the next process step. Here NORD's customer-specific drives provide optimum support. 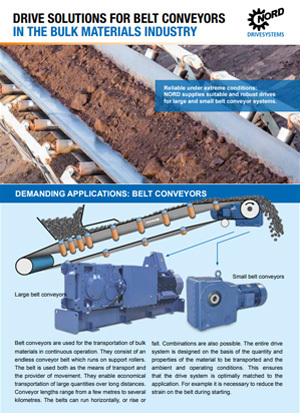 Conveyors differing with regard to the conveying direction, mass flow, conveyor length, and construction are needed to convey the bulk materials from process step to process step. Our reliable and robust drives ensure an uninterrupted material flow. NORD drives can be controlled individually to intelligently adjust the mass flow - for precise, dynamic bulk materials infeed control. 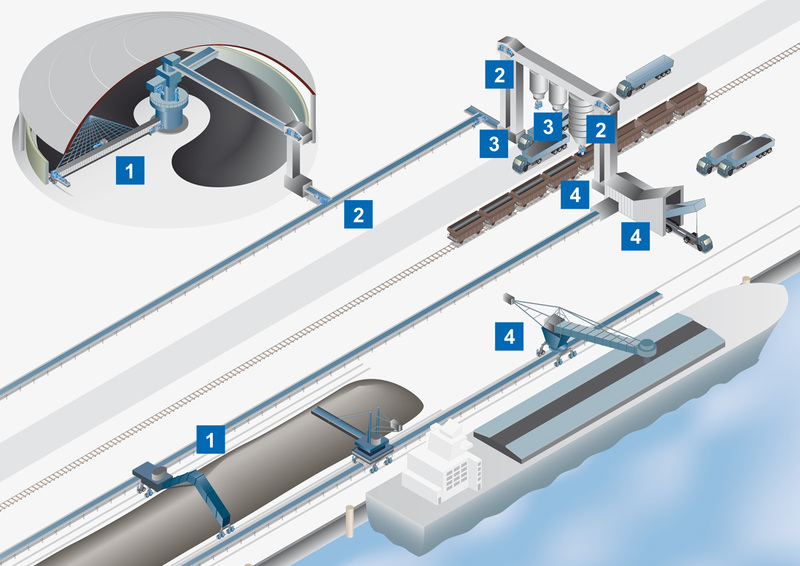 This always ensures precise and dynamic control of the feed quantity of the bulk material. Ships, trains and lorries must be loaded and unloaded for global bulk materials transport. Reliable NORD drives make sure this is done quickly and safely. Drive solutions by NORD DRIVESYSTEMS are environmentally friendly and help reduce operating costs and minimise CO2 emissions. High efficiency helical and bevel gear units achieve optimum power transmission performance. NORD motors comply with international energy efficiency classes up to IE4. NORD frequency inverters have energy saving functions to effectively reduce energy consumption. NORD components are optimally matched to obtain ultimate efficiency. 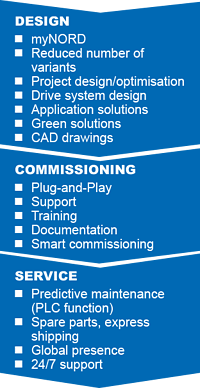 Reliability is our main focus when developing our drive solutions. All of our system components are precisely matched to each other and ensure smooth operation. 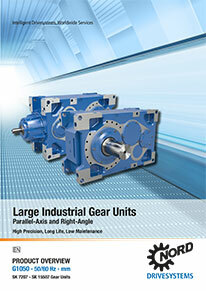 Unicase gear units ensure precise positioning of bearings and shafts. 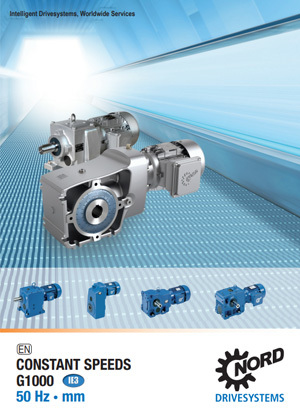 Highly precise gearing ensures minimum wear and a long service life. 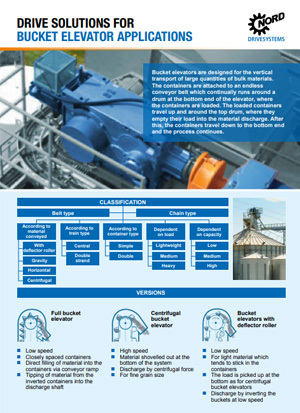 Efficient protection of drive system and plant by implementing couplings matched to the process and the gear unit (e.g. hydraulic couplings). The gear units are extraordinarily robust, run very quietly and have a particularly long service life. NORD frequency inverters are equipped with safety functions to protect the drive system electronically. 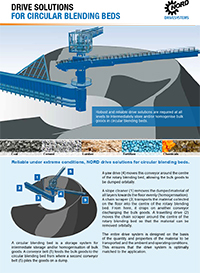 Demanding ambient conditions are common in the bulk material industry. This includes large temperature fluctuations, abrasive environments, and rough operating conditions. 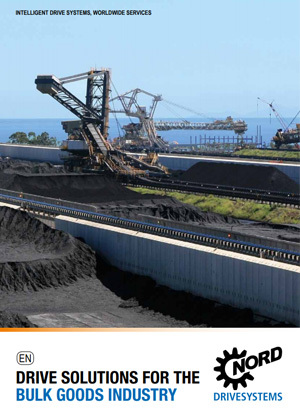 The reliability and cost-effectiveness of NORD solutions for these challenges have proven themselves in the bulk material industry throughout the world. 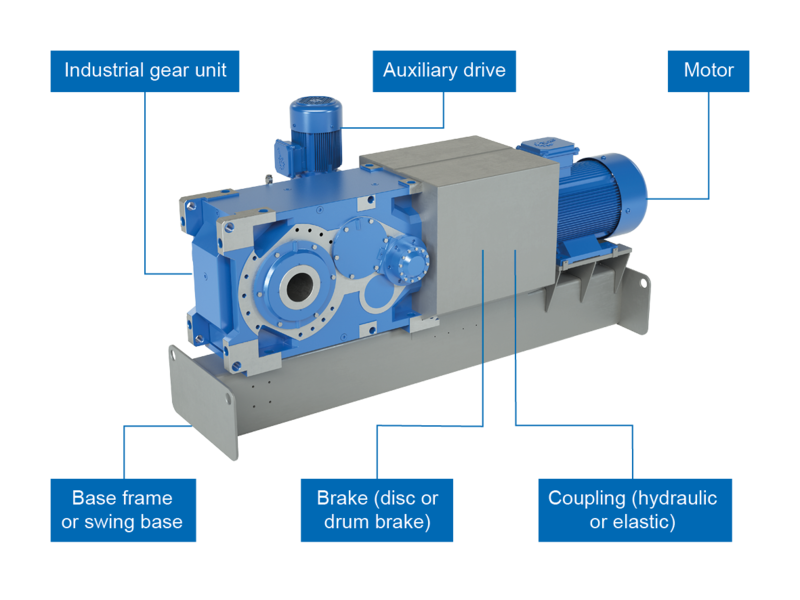 Full featured NORD drive solutions based on a modular system, consisting of frequency inverter, motor, gear unit, couplings, and brakes are selected as the basis. They are combined with solutions individually developed and designed according to customer requirements.